Choosing church on Sunday mornings was tough when I was in high school. I practiced my sport before school on weekdays and worked the opening shift at my job on Saturdays. But as tough as getting up on my one day off was, nothing was as arduous as finding motivation to go church when I was in university. When people move away from home, why doesn’t the habit of attending church go with them? I know I am not alone in this experience. Here are three ideas of why this happens. When I think back to my years in university, I can’t justify church-skipping any more than I can defend missing class. I had a million excuses though. I didn’t know anyone, I didn’t like the music, it was too far, it was weird, no one talked to me, it was too overwhelming, I was too shy, etcetera. 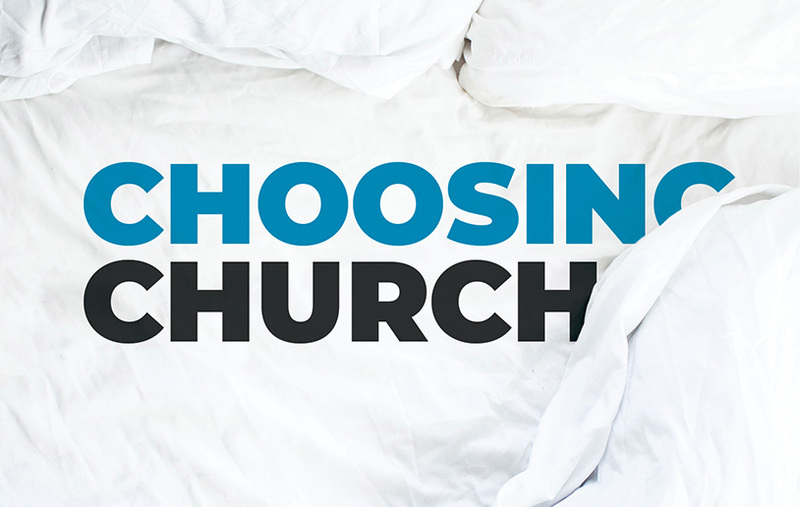 After some time, I faced the hard truth: church was a lower priority than it should have been. If it was important to me my excuses wouldn’t have held water. Hebrews 10:24-25 helps me understand why church should be a priority in my life. “Let us think of ways to motivate one another to acts of love and good works. And let us not neglect our meeting together, as some people do, but encourage one another, especially now that the day of his return is drawing near.” I like this passage because it points out the importance of meeting together with other believers to encourage, motivate, inspire, and support each other. Since those days of experiencing the more casual side of church attendance I’ve had a lot of time to reflect on why I go to church. I don’t have any definitive answers (although the Bible sure talks a lot about encouraging one another in the faith), but I can’t ignore each time I worship with other believers I am reminded of all Christ has done for me, which causes me to be that much more secure in my faith and with who I am.